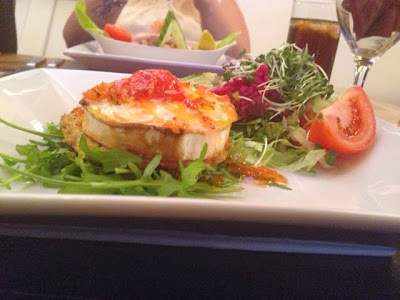 Kirstiekins Blogs: The best meal ever! Saturday just gone saw my works Christmas meal, and I have to say that it was honestly one of the best meals I have had in the longest time. 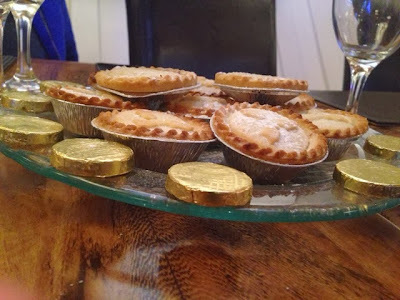 I wont bore you with all the details of who wore what (although everyone did look fabulous in their dresses and heels) and the decorations of the restaurant but I will show you the amazing meal we had. Nom. 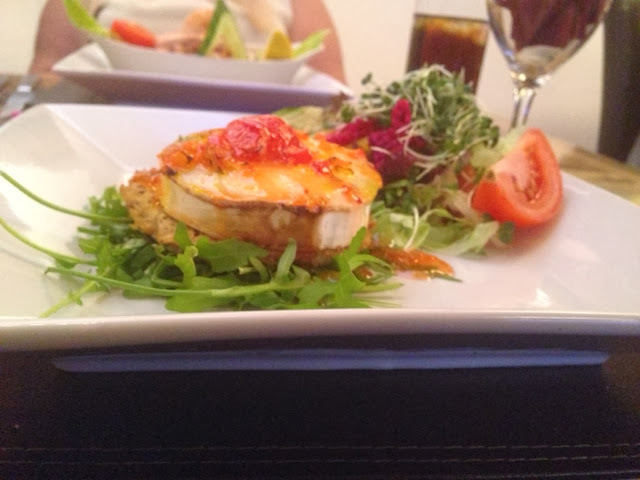 For a starter I chose the Goats Cheese, Cherry Tomato and Pepper Tartlet with salad. I was expecting a small sort of entree type dish, but what I got was big enough to be an entire meal! 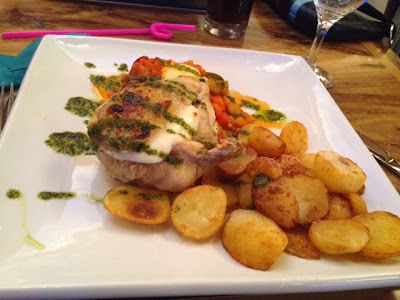 My vegetarianism came to an end that night as for the main course I had the Chicken Supreme with Mozzarella, Vegetable Ratatouille and Sautéed potatoes drizzled with Pesto! Once again the portion size was bigger than expected, I thought I was going to get a smallish piece of chicken... no. It was HALF. A. CHICKEN. The dessert was an obvious choice. 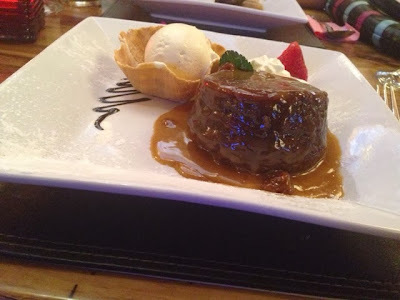 Whenever there is Sticky Toffee Pudding on the menu I can't and won't say no, and I swear this is no lie that it was the side of my head! Finally we had a course of coffee and mice pies, I had my coffee black (as usual) and I didn't have any mince pies, mainly because I don't like them, but also because I was completely stuffed! 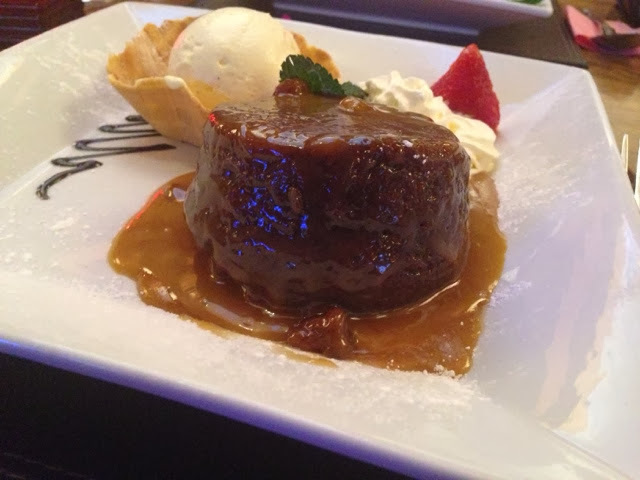 Overall it was amazing, and if you are ever in Heathrow you should check out the Pheasant because it was so good, and I recommend it to anyone in the area!